Four guys with shaggy hair, acoustic guitars and a tendency to play folk music is probably a normal sight in Nashville, Tenn. Even in Los Angeles it's not altogether unusual. But there's something not quite normal about Minibar. What sets this band apart is that its four members, whose style is undeniably American, are not from the deep South, or even the United States; they're from London. "To call us an 'American Roots' band is a misnomer, because we don't come from here," lead singer Simon Petty said in a phone interview from his new residence in Los Angeles. While few bands are easy to musically classify, this aspiring new British quartet has complicated the issue even further. By retaining its homeland's pop structure while infusing a definitively American country roots style, Minibar has found a niche it can assuredly call its own. Seven years ago, London gave birth to this illegitimate, hybrid band. Minibar, while firmly rooted in its European beginnings, may have more in common with American music than most bands born and raised in America. Whether they meant to or not, the United States and Britain jointly hatched a unique child. 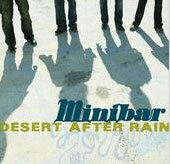 Like many bands, Minibar has seen its share of member changes. Today the band consists of four core artists. Although all members sing, Petty is the lead and plays acoustic guitar. Sid Jordan plays bass and piano, Tim Walker is on the pedal steel guitar and banjo and Malcolm Cross plays percussion. Together, the four British musicians played bars and pubs throughout London for several years. But it was not very rewarding since Minibar's music does not fit into either of Britain's two main musical genres, pop and punk. "It's a bit odd," Petty said about Minibar's sound. "We have strains of country, perhaps, but still a pop structure -- if by pop you mean the genuine term as accessible. "But I think that we don't label well is a good thing. We start playing and writing and we do what feels right. We're not self consciously American and we didn't start out to become the British Eagles," Petty said. "We just try to write interestingly about the same things people have written about for decades, but in a self-referential and confessional way." It is no surprise, then, that after struggling in London for years with its decidedly un-British sound, Minibar left its native home to seek out its musical holy land. In an it-could-only-happen-in-Hollywood success story, the four Brits found a home here in Southern California. After playing only two gigs in L.A. at the Troubadour and the Viper Room, the band was signed by producer T-Bone Burnett, who is well known as the force behind numerous albums, including the recent Americana roots soundtrack for the Coen brother's film "O Brother, Where Art Thou?" As would be expected, the West Coast offers a completely new world to the once London-based band. Jordan talked about the group's move into this more fitting musical haven. "There's really more of a sense of community here," he said. "People aren't back-biting, which never made sense to me anyway. Elbows, maybe. But there are these social differences that result in the English being born with this innate sense of underachievement. Americans are born with everything, and maybe they can go down a bit but they aren't trying to prove themselves all the time. So people are willing to help more here. Besides, London is full of bars and rolling hills, so people there mainly just drink and roll down hills." Petty seconded this feeling of new found belonging. "Here we are more musically understood, because our sound is more American. Our mythology is here on the West Coast," Petty said. "It's our musical homeland, here in the 1970s. We are less country now that we're here and have been jamming more together with less structure. We're actually a bit more English now that we're in America." It was also here in L.A. that the group recorded its first album Road Movies and its pop single "Holiday From Myself." Recording a single can be a defining experience, as many bands face compromising their artistic integrity for producers who force groups to play uncharacteristic music in order to reach radio airwaves. "We were fairly forceful and said 'no,' because we didn't want to play fast, dumb pop songs," Jordan said. "Our sound has changed since we've been here, too. We doodle more, 'space jam' a bit more. This album is very precise. We've relaxed a bit now." Although Minibar has come a long way from playing Neil Young and Beatles tunes in British pubs, it still finds inspiration in music from many different genres, ranging from Bob Dylan to Elvis Costello and even some Joni Mitchell. However, Jordan acknowledges that there are downfalls to being in Southern California. "I was trying to write the other day, and couldn't so I went for a walk on the beach. It was sunny and all and that just isn't good for songwriting inspiration," he said with a laugh. Ultimately, whether Minibar is Americana roots, pop, folk or some hybrid of all three, is irrelevant. Minibar is Minibar, and will play whatever music feels right, which is all there is to it. Copyright � 2001, Daily Bruin University Wire, all rights reserved.